We have an awesome craft idea from the world’s biggest sweetheart, Kelly of Cloudy Day Gray! We first told you about Kelly and the story of her Mighty Matilda here. So when she asked us to contribute a simple craft idea to brighten the rooms of families with children in pediatric intensive care, we jumped at the idea. 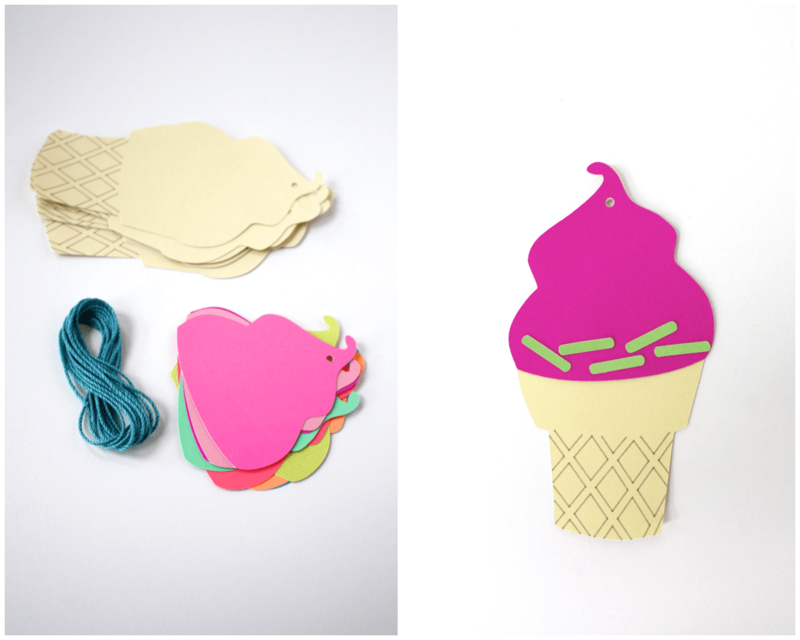 These ice cream banners were brought to NYC this month along with totes, stencils, and window clings. Kelly was also able to sell the banners in an effort to raise money and awareness during the 2014 NYC Life Liver Walk. Go Kelly! “Forget about National Doughnut Day, July is National Ice Cream Cone Month! There is nothing more cheerful and classic than an ice cream cone. And who said ice cream was just for eating? 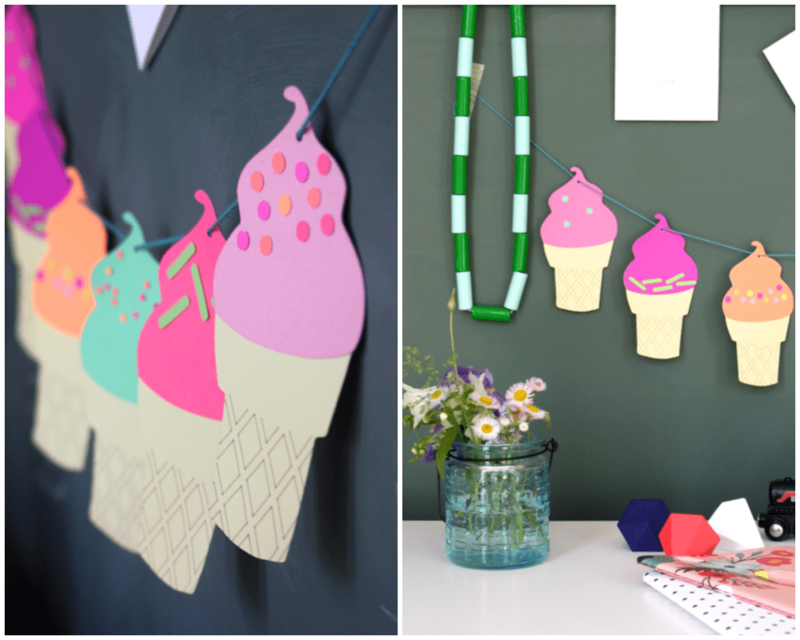 Make this DIY bunting with your kids and call it a day! 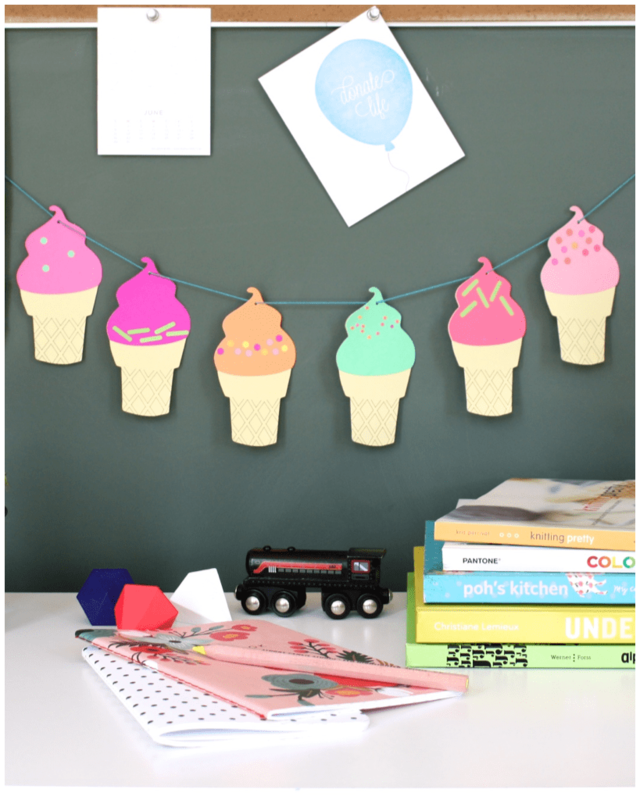 This banner was made with the Cricut Explore™ to design, draw, and cut these cute little cones, but if you don’t have one, you could just as easily print and cut your cones by hand. 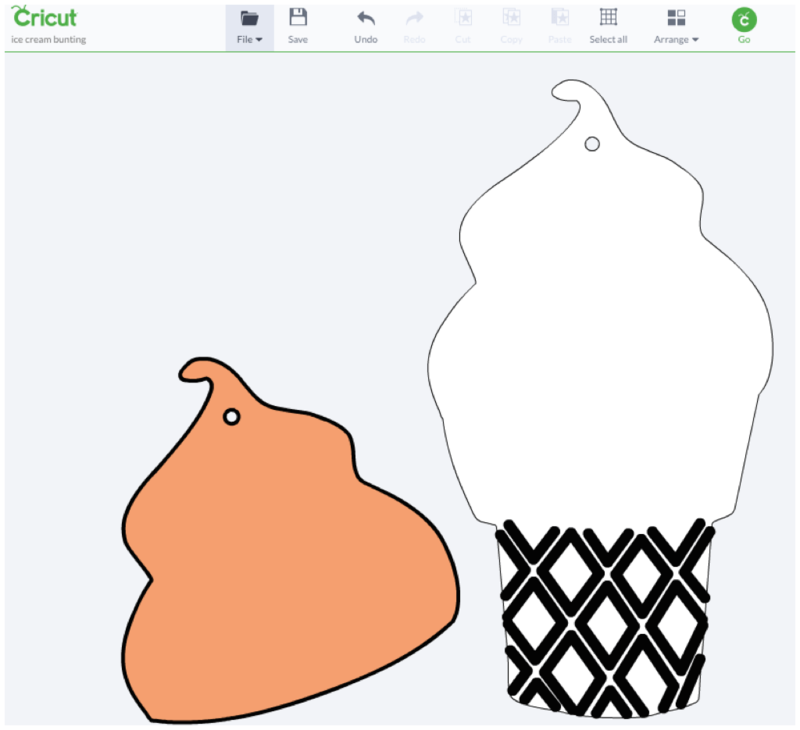 First, find this ice cream cone image in the Cricut Design Space (search #M41344). Then, snap in a Cricut pen (we used the “wine” colored one, but any would do), place the paper onto the mat, and press Go. Yep, the Cricut Explore not only cut the cones, but it drew on the lines as well! See more of Kelly’s good heart and bright ideas at Cloudy Day Gray! Kelly, these are so cute! I wish I had a circuit! So cute! Kelly is the best!